1. Vehicle maintenance: Vehicles that have been regularly maintained according to their manufacturers' required maintenance schedule should be ready for winter weather. If not, a visit to the local dealership to catch up on your required maintenance will ensure the vehicle is ready for the season. 2. 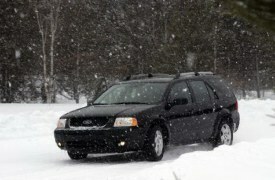 Read your owner's manual: All vehicles have different characteristics that will react to winter weather differently. This is a good time to check the manual for your particular vehicle's winter driving tips. 3. Monitor tire wear: There are three important aspects when it comes to tires: pressure, tread wear and age. Tire pressure: Cold weather causes tires to lose pressure and become underinflated; meaning your safety on the road is compromised. Check your tire pressure regularly, especially when the temperature changes. Tire tread depth: Proper tread depth can be key to slipping less and gripping the road better. Tire age: Old tires can be unsafe tires, especially in the winter. It is recommended that tires over six years old be replaced. All season and summer tires begin to lose their grip around 7 degrees Celsius. Consider switching to winter tires for better handling and braking performance. 4. Drive safely and be alert: Safe driving is always important. Remember to slow down and leave extra space between you and the vehicle in front of you. Also, avoid abrupt moves -- don't stop, start, or change direction suddenly and you'll maintain better control of your vehicle in inclement conditions. 5. 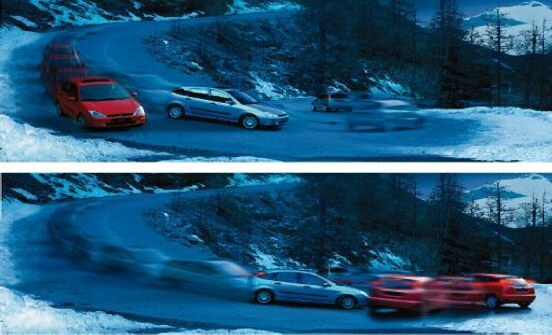 Goodbye cruise control: Never use the speed control in slippery conditions. If the weather suddenly becomes hazardous while cruise control is engaged, simply disengage it manually or lightly tap the brakes. 6. Get to know the safety feature alphabet: Become more familiar with vehicle safety features such as ABS, TC, ESC and RSC, to understand how they can help. Anti-lock Braking System (ABS): Vehicles equipped with an anti-lock braking system do not require the driver to pump the brakes in slippery conditions when hard braking is required. 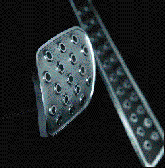 Apply firm, continuous pressure on the brake pedal and ABS may activate to help you maintain control of the vehicle. Traction Control (TC): This feature most often engages at low speeds. In the majority of winter driving conditions, it is best to keep the traction control feature ON. However, in extreme conditions - for instance, deep snow or sheer ice - it may be better to turn OFF your traction control to get moving. Electronic Stability Control (ESC): ESC helps prevent your vehicle from skidding out or sliding laterally in slippery conditions. 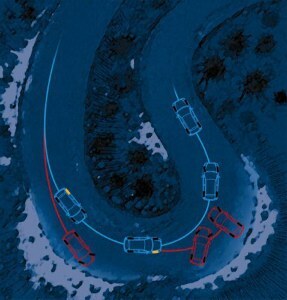 Roll Stability Control™ (RSC®): AdvanceTrac® with Roll Stability Control™ helps to avoid a rollover in a collision situation. Richard Neumann is technical support manager for Ford of Canada, Oakville, ON.